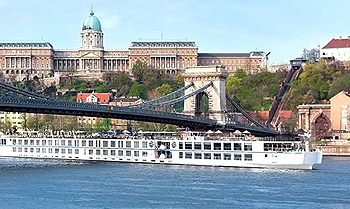 The River Beatrice reemerged as the S.S. Beatrice in spring 2018 after an extensive bow-to-stern renovation. The S.S. Beatrice debuted with a fresh, sleek look with a graceful bow, redesigned lounge and an elegant grand staircase. Additional dining venues include a private space to replace the Captain’s Lounge and Library. Two new Royal Suites measuring 375 square feet and an additional Owner’s Suite were created plus several connecting rooms which are ideal for families travelling together.